You’re tempted to show people your final exam just to prove it to them. Your verb conjugations are on point, and you know lots of vocabulario (vocabulary). The worksheets, role plays, quizzes—you were an A+ student. But you don’t believe it yourself right now. As you try conversation after conversation with native speakers, you realize Spanish is spoken so much faster than you expected! You get distracted by the words pues (well), claro (of course, clearly) and bueno (good, well)—the Spanish filler words that embellish everything. Finally, you just nod and smile. The classroom might have been an important point of departure for your Spanish journey, but exposure to real conversations is important for both fluency (speaking at a normal pace) and style (sounding human). Overcoming this issue becomes less of a hurdle when you purposefully seek out real Spanish conversations. Let’s start with some strategies you’ll want to incorporate while using the resources. In this post, you’ll find a list of videos chock-full of real conversations. 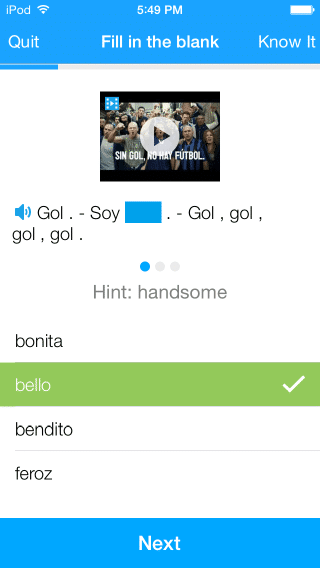 If you’re just starting out with Spanish, make sure you start with the basics. 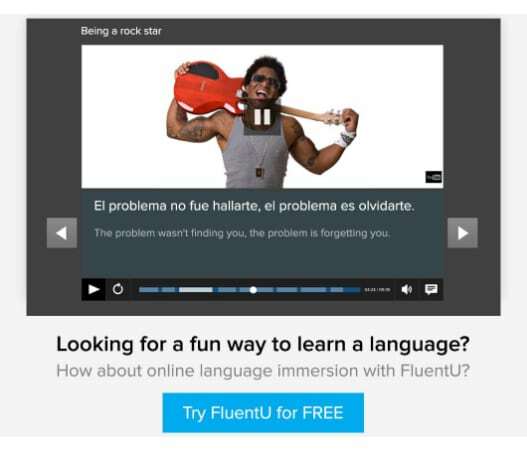 Then you can incorporate these strategies for understanding Spanish better. Listening to conversations casually allows you to hear the natural rhythm of speech. It’s a little bit like learning by osmosis. 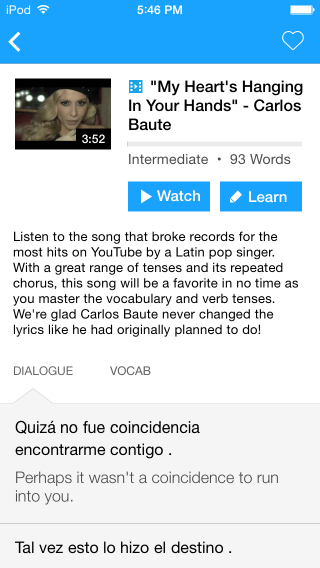 Your ear will automatically start to make connections between your textbook knowledge and the sound of everyday spoken Spanish. If it’s a video clip of a conversation, you can guess the meanings of words based on the visual cues. Remember, you won’t understand everything. But you don’t need to. Just try your best to understand something. Stop your video or podcast clip and replay it. Slow down the video speed. Look up a few words in your dictionary. Feel free to listen multiple times to move from passive to active listening. When you listen a second or third time, you can now challenge yourself to comprehend everything word-for-word. The words that seem least important to the meaning are sometimes the most important for real conversations. Take notes as you listen to decipher what’s important and what’s not. Filler words both decorate and complicate everyday speech, but they’re especially important for making your own conversations sound more authentic. Learn to love them! In addition to understanding the content of real world conversations, try to copy the sound, rhythm and pace of fluent Spanish speakers. Try using cue cards to practice if needed. You’ll improve your own conversation habits immensely. Don’t be afraid to exaggerate, either. Sometimes it’s better to overdo it! Spanish speakers will appreciate your effort. WeSpeke is a comprehensive free website for chatting with Spanish speakers via text, audio or video formats, taking lessons and taking notes as you study. 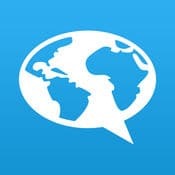 Conversation Exchange is another free website that connects you with other learners who hope to study your language and vice versa. This site merely helps you find other language learners by browsing the different user profiles. You can then send messages to them to arrange practice sessions together. 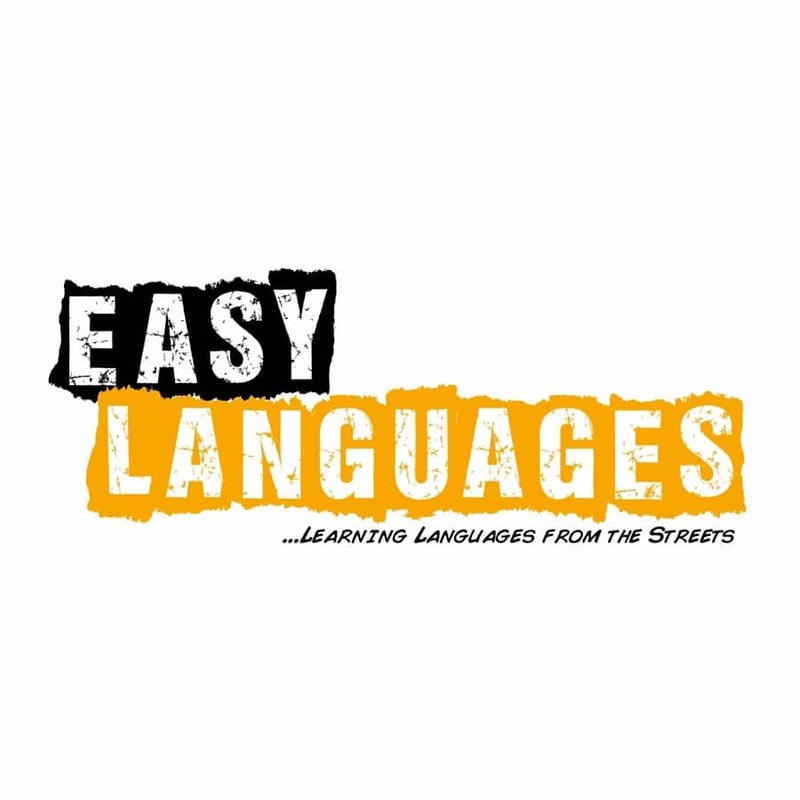 Produced by the Easy Languages YouTube Channel, Easy Spanish offers videos of everyday topics like asking for directions or asking someone what they do for work. You can hear natural responses that will clue you in on how to engage in realistic conversations. 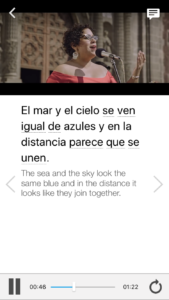 The subtitles of the videos are written simultaneously in both English and Spanish. Most importantly, you’ll watch native Spanish speakers (usually from Mexico). So if you want to study the Mexican accent, this is a great resource. 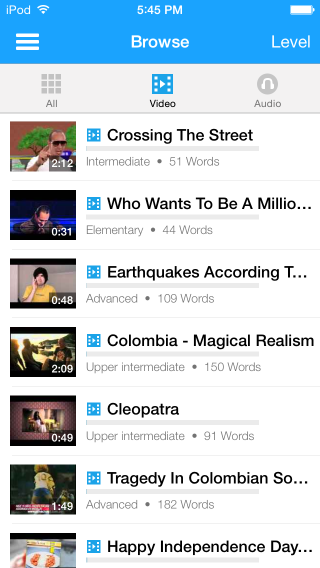 Since Easy Languages produces videos for other languages, you’ll have to search specifically for their videos in Spanish. 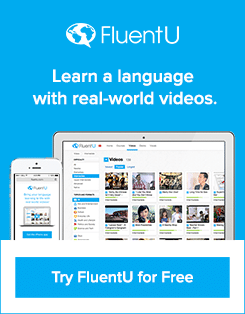 Did you know that FluentU has an immense collection of authentic Spanish language videos? These are all taken from the internet and formatted to help you learn a language. Some of the best authentic conversations can be found here because the material comes from movies, the news, presentations and more. While there are only six brief videos to choose from, these are excellent examples of real conversations in Spanish. They feature native Latin American speakers in different common situations. Take a look at this conversation between a passenger and a taxi driver. It presents a perfect example of friendly small talk in Spanish between strangers. Likewise, this video on meeting Jose is a great example of reuniting with an acquaintance and updating him about work. These conversations model everyday speech, so the pace may seem fast for beginners. You may need to pause or slow down the video because subtitles are only provided in Spanish. A learning guide for the video is also offered by OfCourseLanguages to help with this. 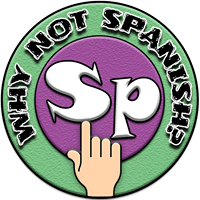 With videos that intentionally exclude English subtitles, the listening activities produced by WhyNotSpanish often feature five- to six-minute conversations or interviews about various topics. One example is this conversation with two Colombians at a bookstore. In this sample, the video is designed for you to enhance your listening skills by offering a quiz on the content at the end. Most of the listening activities on WhyNotSpanish feature Colombian speakers, offering excellent listening practice for people wishing to travel to South America. 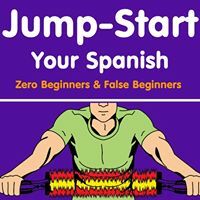 For people interested in watching Spanish speakers from Spain, this site is an excellent resource. Here, you can find plenty of videos of native speaker to really get a feel for the intonation and style of the European Spanish dialect. The site also features Gordon, a Brit who became fluent in Spanish, and his guests from different regions of the Spanish-speaking world. They spend their time together talking about everything from travel adventures to daily life in Spain. Gordon has prepared numerous Spanish diaries with long, twenty minute conversations that will help your Spanish skills grow. These videos aren’t your average videos. Gritty Spanish is made to shock you, make you laugh and ultimately teach you how to speak in different contexts. You’ll find all of the slang words, curses and insults that most sites filter out (i.e., Guatemalan slang, Costa Rican slang or Dominican curses). But this is real Spanish, right? Check out this video about a conversation with a bartender and you’ll see what I mean. Most of the videos online are samples of full episodes, which you can access for a fee through the Gritty Spanish website. This channel produces videos of puppets speaking Spanish, and it’s intended to make you laugh. These puppets get into situations that humans might find themselves in—like going to the fortune teller or returning from a business trip. So why not laugh your way to fluency? Even if these aren’t real folks, the Spanish is still spoken at a conversational pace that will help learners. And who knows? These puppets might have more things in common with us than you’d expect. Note: Some of these videos contain adult language and themes. 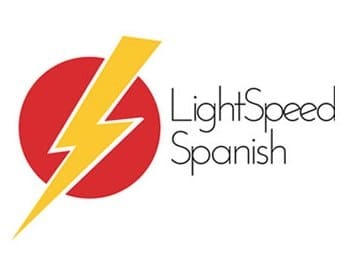 Apart from videos, there are tons of excellent Spanish podcasts available to include in your language-learning program. 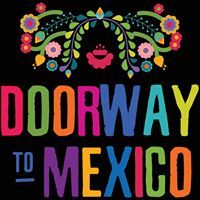 This particular podcast centers around the adventures of the Baxter Family, an American family traveling around Mexico City. 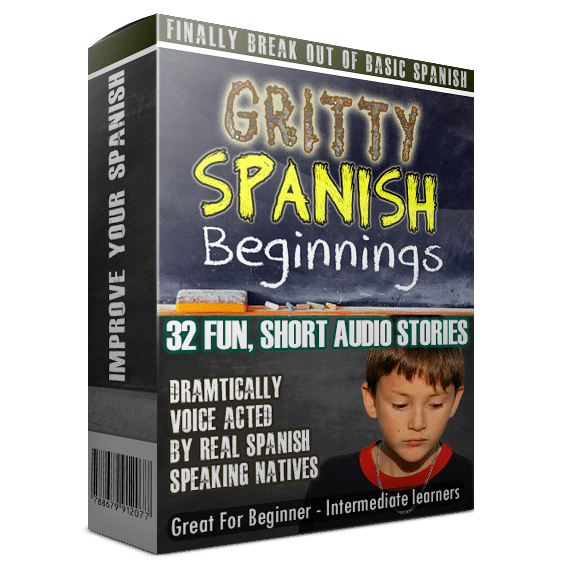 The audio clips blend English and Spanish, so they’re easy to grasp but still helpful for Spanish speakers of different levels. The podcast gives you a little taste of the local color and culture of the capital city, with episodes on street food (with extra tips on how to eat safe) and the Mexican street market. Remember, you can apply the same strategies for understanding Spanish conversations to videos and podcasts alike. By now, I hope you’ve taken your Spanish out of the classroom and into the streets. Or if you’re like me, to your couch with a Spanish video or two and some popcorn.